Storing things. That’s what Mila’s good at. And working a metallic frame and wooden drawers, it looks stylish too. Mila’s an industrious media unit. No wonder it looks so industrial. Give your home a pared-back rework with Mila’s contrast of solid pine and galvanised metal. Keep spare wires hidden. 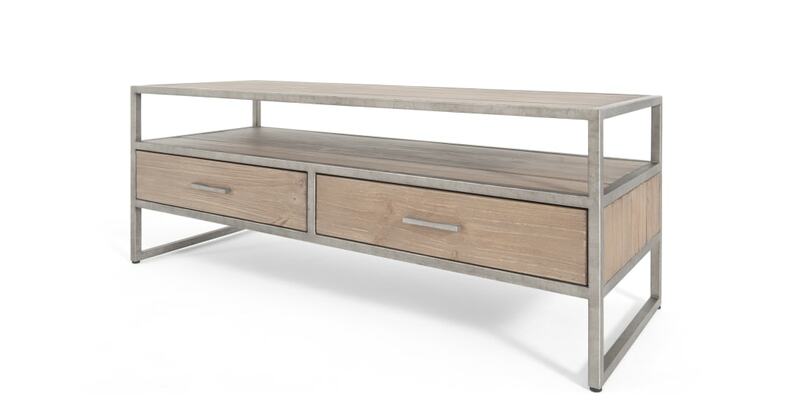 The Mila media unit has two spacious drawers and a shelf. So it’s ideal for keeping your technological clutter neat and tidy.